There are times we have to be away: for family commitments, official work or just on vacation. For a pet parent, these events can be rather stressful because it means you have to leave your pooch behind and to find a second home, is too tough. That’s when Straiz- The Pet People step in to help. At Straiz’s, the aim to become a second-home for every pet who walks through their door. To that end, they offer a good range of services that will keep your pooch comfortable, pampered and above all, safe. Hence, they offer day-boarding services. You can drop your pet to their place in Sector 46 or have them pick-up your pooch from your doorstep. And they do not believe in putting pets in cages which means that your doggo will be free to roam around under their supervision and also make other doggo friends! What’s more? They also offer grooming services which means doggo cannot run away from bathing, nail-cutting and even tick-bathing. They will also take doggo out for walks and train him to be a ‘good boy’. 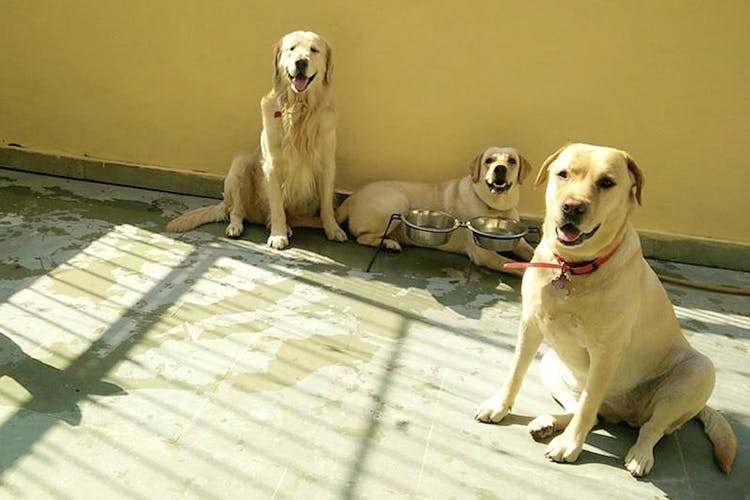 If you’re worried about a pet-boarding facility then you don’t have to be because your doggo will find a second-home at Sector 46’s Straiz-The Pet People where your doggo will be pampered and kept safe.